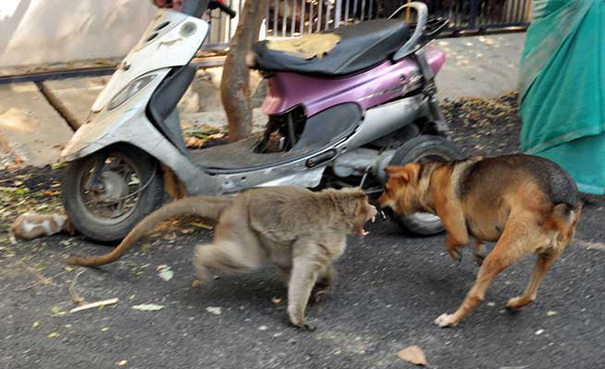 If you’re a lover of animals like me, you’ve probably witnessed or heard about some unusual animal friendships before. Well let me tell you that this particular animal friendship is something I’ve never seen before. 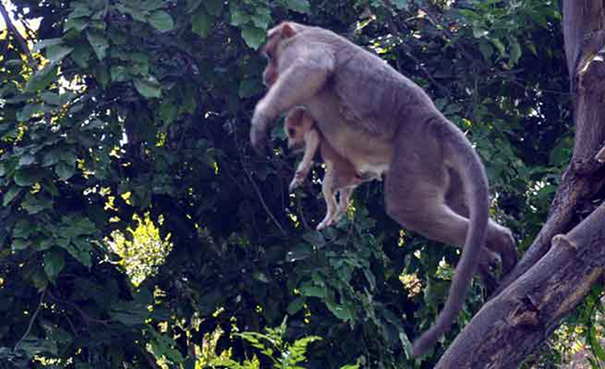 There lives a rhesus macaque monkey in the city of Erode, India. He looks like any other monkey, except about one special thing. 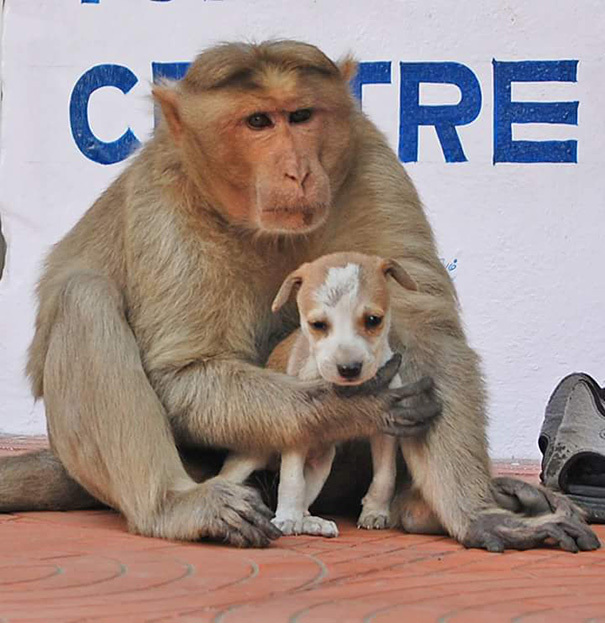 This monkey seems to have adopted a puppy. 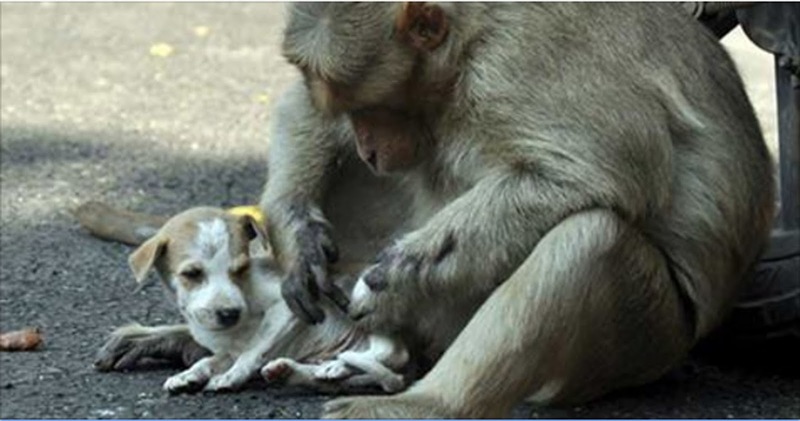 Erode city locals were at a loss for words when they saw this monkey defend his adopted puppy from stray dogs that were trying to attack him. 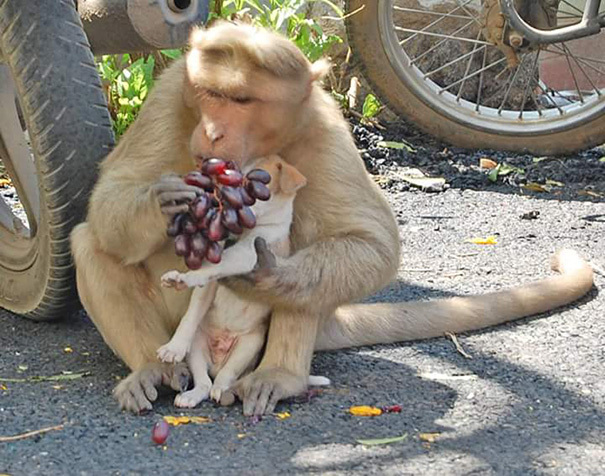 When the locals decided to give the monkey and puppy food, the locals were stunned yet again when they witnessed the monkey let the puppy eat first. What did you think? Aren’t they just the cutest? We want to hear your thoughts. Let us know in the comments below! 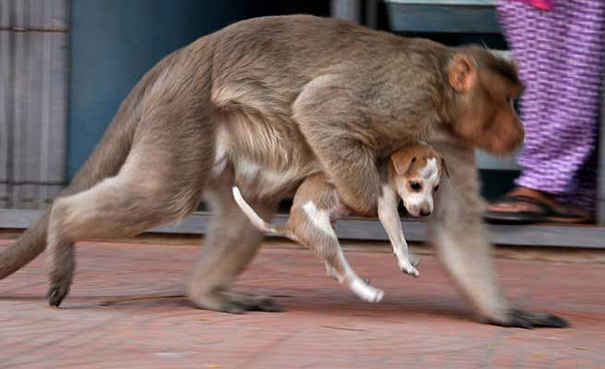 Please SHARE this adorable monkey and puppy with your friends and family. 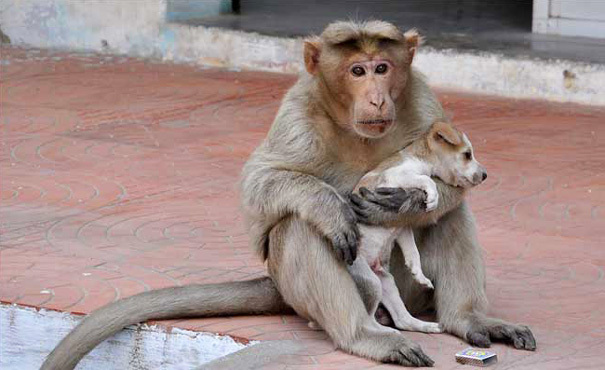 This rhesus monkey adopted this puppy. 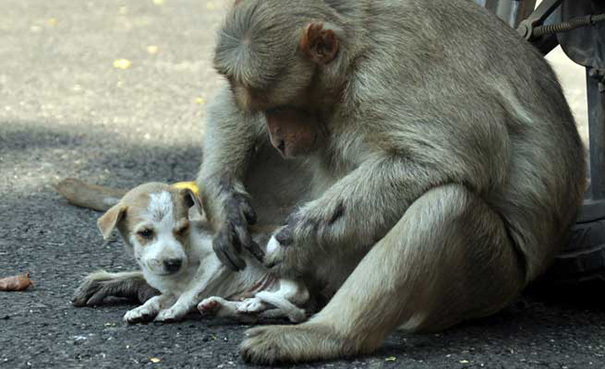 And protected the little puppy from stray dogs. 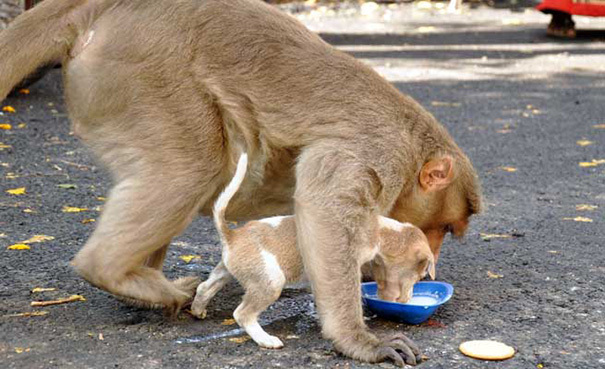 The monkey even lets the puppy eat first! As you can tell, the bond between them is special. 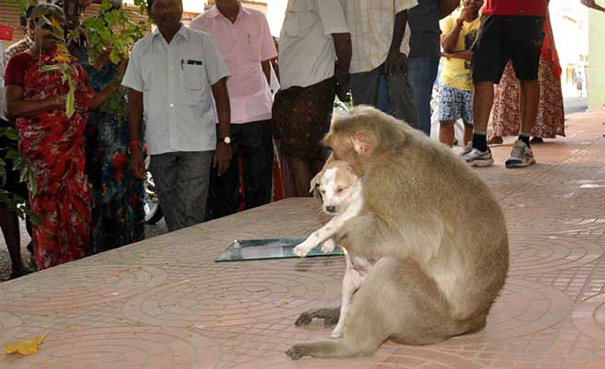 This monkey sees the puppy as her own child. This article was republished from shareably.net.